Two official images of the Tata Zica have been revealed by the Indian car maker on its Facebook page. 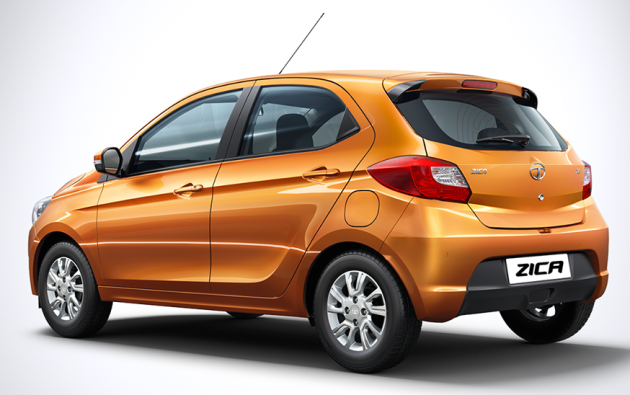 The compact hatchback is said to make an Indian market debut come early January 2016. 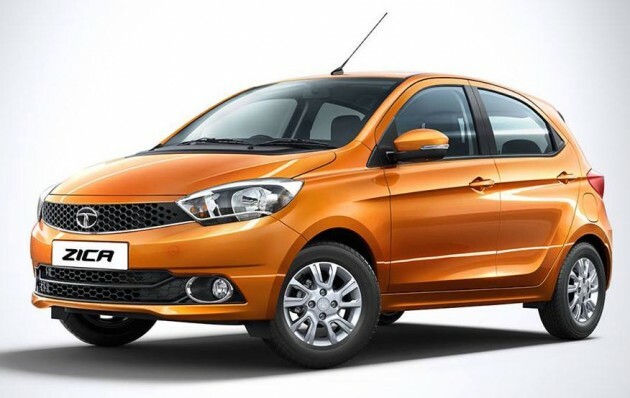 Codenamed the Tata “Kite” prior to the revealing of its new name, Tata Motors explains that the name Zica is derived from the term “Zippy Car.” The compact model will compete against the likes of the Maruti Suzuki Celerio, Hyundai i10 and Ford Figo for India’s affection. The Zica is also said to replace the Tata Indica, carrying forward a revised version of the model’s platform with an upgraded suspension and benefitting from new three-cylinder petrol and diesel engines. Thus far, a 84 hp 1.2 litre petrol and a 67 hp 1.05 litre diesel has been tipped to feature in the Zica, mated to either a standard five-speed manual or an optional automatic manual transmission. No further performance details have been provided. While no official interior images of the car have revealed, several leaked photos from Indian portal AutosArena.com have shown a variant of the humble Zica to feature a two-tone interior, a three-spoke steering wheel, a multi-function display between the dual instrument binnacles and a hexagonal centre console that houses the 2-DIN audio head unit and its controls. High-spec variants of the Zica are said to feature dual-front airbags, electric power steering, ABS with EBD braking, rear parking sensors, wing mirrors with integrated turn signals and more. Look like old Toyota Yaris. Honestly, it’s not bad at all. Wonder if Tata plans to sell this overseas. As far as I know, they have a factory in Thailand which builds the Xenon pickup, and they have a few models on sale in Indonesia… and maybe Myanmar too. P.S. Yes, Mr. hi-I-have-nothing-better-to-do-aka-stalker-slash-troll, I know you’re there. Proton can hv another JV n re badge this car.. ok or not? Next Post: MBPJ to bar traffic offenders from renewing road tax?